A: You may be able to see severe hail strikes from the ground, but most often hail damage is not visible to the untrained eye. If you’ve experienced hail in your area, call G&K Roofing to schedule a professional inspection. Make sure your home’s roof is ready to protect you from the elements. 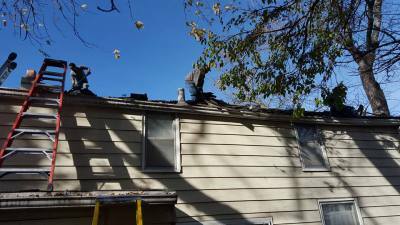 Contact G&K Roofing for a free estimate today by calling (402) 515-ROOF (7663) or by emailing us, we will get back to you promptly. Low-Maintenance Siding, the Best Choice for your home.We believe we offer the best siding options for our climate. Contact G&K Roofing, Siding, and Seamless Gutters for a free siding estimate today by calling (402) 515-7663 or completing our online quote request form. At G&K Roofing., our roof and gutter experts are qualified professionals who get the job done right the first time. 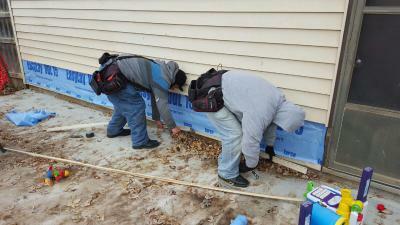 We offer a wide variety of gutters and related services to suit our customers' needs. With reasonable rates, courteous roofing contractors, and a commitment to customer satisfaction, G&K Roofing. 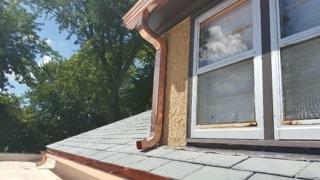 is here to help with all of your gutter installation, and repair needs. Call us today (402)515-7663 to schedule an appointment or request an estimate for our services.